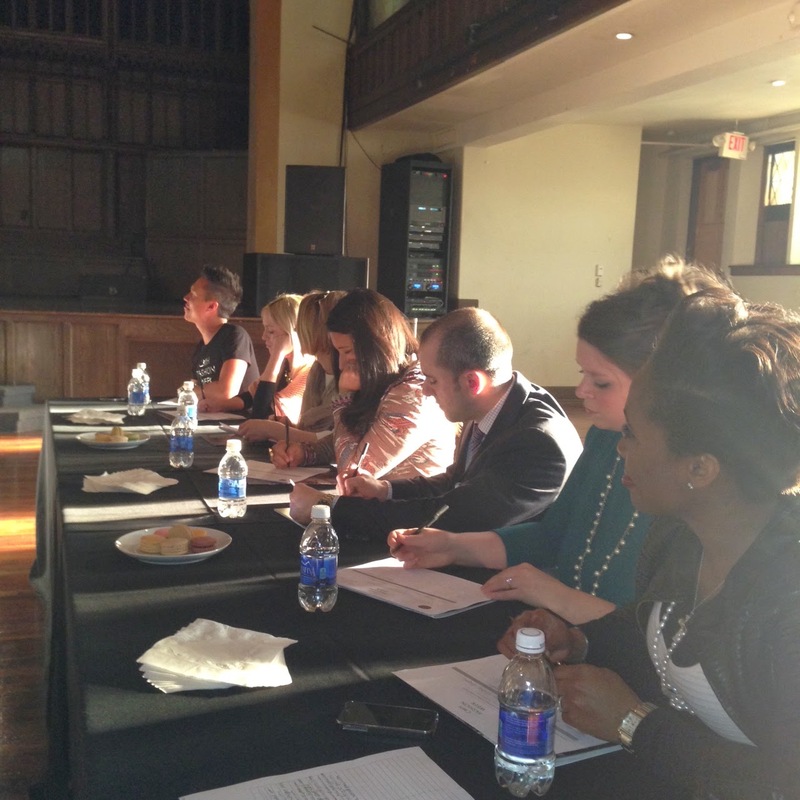 I had the pleasure this past week of attending the designer casting for CMH Fashion Week 2014. There I watched 14 designers present their designs and talk about their brands to the panel of judges in the hopes of being chosen as one of the ten designers showing in this year's CMH Fashion Week Finale Runway Show. The panel was made up of (from back) CMH Founder & Executive Director Thomas McClure, Christy Walsh from Wardrobe Therapy, editor of Capital Style magazine Kristy Eckert, co-owner of Thread boutique Miranda Boyle, Tony Mariani of Saks 5th Ave, CMHFW board member Caitlin Perry, and CMHFW Style Director Kholá Waddy-Jones. So far, 9 designers have been chosen, but CMH is leaving the tenth spot open for you to choose! From now until the end of the day on March 28th, you can vote for your favorite designer by liking their photo on Instagram. You can learn more about each designer, here, and then check out @cmhfashionweek on Instagram to place your vote! Who's your favorite local designer/brand?